Without a doubt, some books are greatly improved by a well-designed index, and often they require more than one! 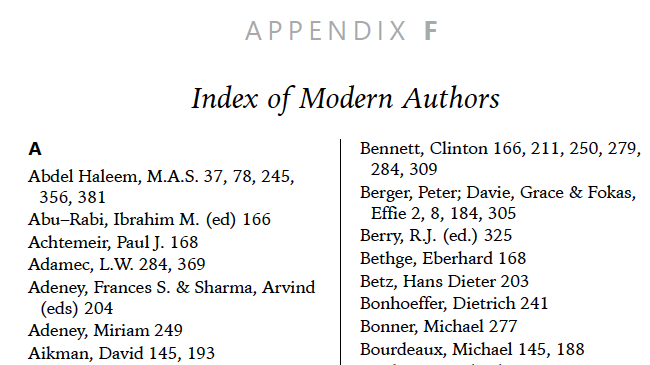 You may be interested in a subject index, but also an index of authors referred to in the text, or references to Bible verses. I can help you with all of these. 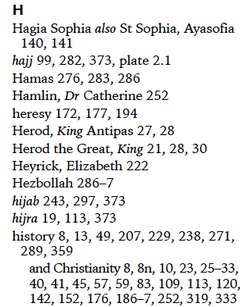 Indexes vary a great deal in length and complexity, depending on the content of the book. Please feel free to contact me to discuss your indexing needs.